I couldn't make up my mind as to which projects I wanted to showcase, so I decided to pick them all. For my first project, I created this adorable picnic basket. I used the Best Friends stamp set and Mini Tags 2 Dies. For my next project, I created this card using the Stitched Circle Dies, Funny Mail, and Funny Valentine stamp sets. 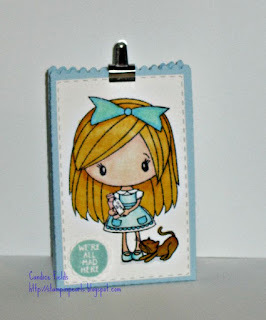 For my last project, I used the Goody Bag Die, Wonderland, and Wonderland Candies stamp sets. I love all 3 of your projects! all your projects are tooo cute ! my fav is the lip card !! very cute idea !!! Candace where did you find the time for 3 projects? Great job! 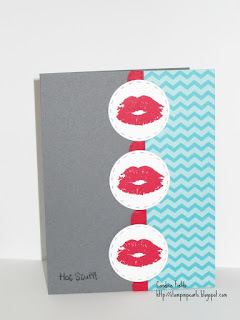 I really like the hot lips card! I love the goody bag! This lil girl is soooo cuteeee! All of your project look fantastic! The picnic basket is so neat and the card is fantastic! LOVE the Alice treat bag too! Love all 3 projects! Great job. Great projects! I really love the coloring on your alice tag. All your projects are wonderful! I can see why it was hard to choose just one! Wow..you've been busy Candice! Great job with everything..so much fun!!! These are all so cute! Great projects! All 3 projects are fabulous!! Beautiful coloring on Alice! Great Projects ... you did a wonderful job!! I'm new here, you have some great projects! Love your coloring. 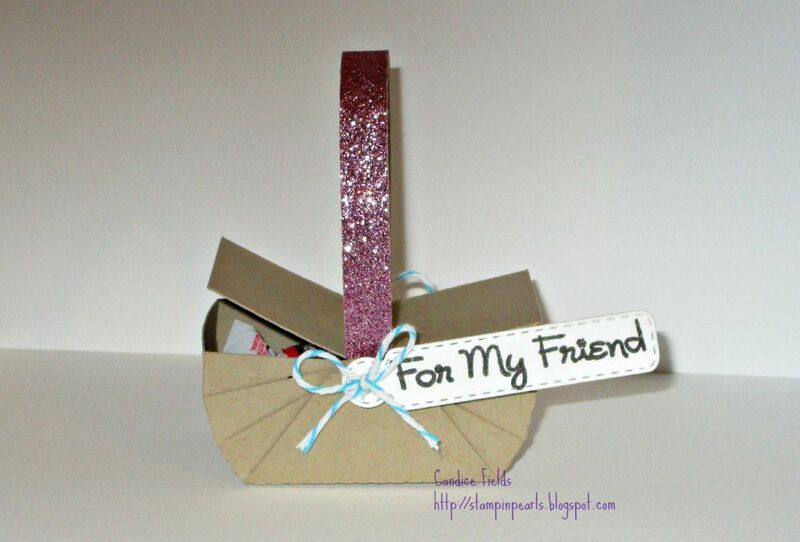 Oh wow, super cute projects!! The picnic basket is adorable and love the treat bag and card! Awesome projects. The picnic basket is my favorite. I love picnics. Three fab projects. Really like the basket. Wow fabulous!!! Your coloring on Alice is amazing! Great job! Such cute projects! I see why you couldn't choose just one. TFS! Fun projects! Love the cute basket! Cute!! Great Job coloring Alice!! Great projects!!! Love the wonderland gift bag! The basket is my favorite! Great job on all the projects you created. Great variety of cute projects!